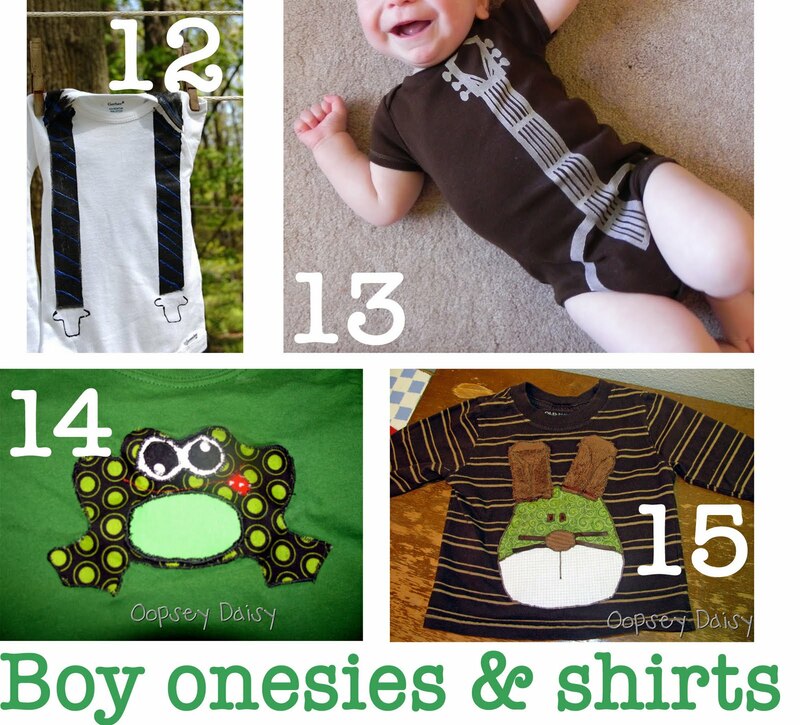 All kinds of baby clothes! Go check out some of these ideas and leave some love when you find an idea you like!! 1. Tutu leggings by Texas Monkey. 2. 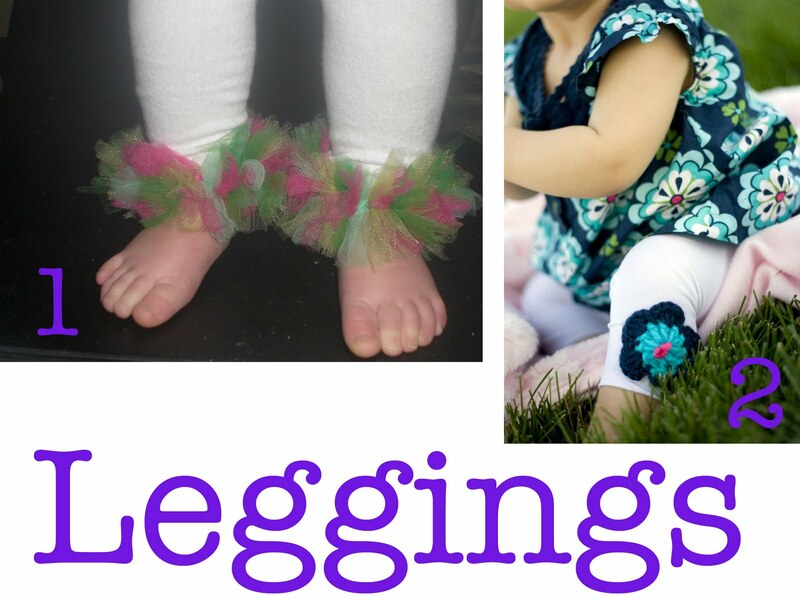 Crochet flower leggings by Sumo's Sweet Stuff. 3. 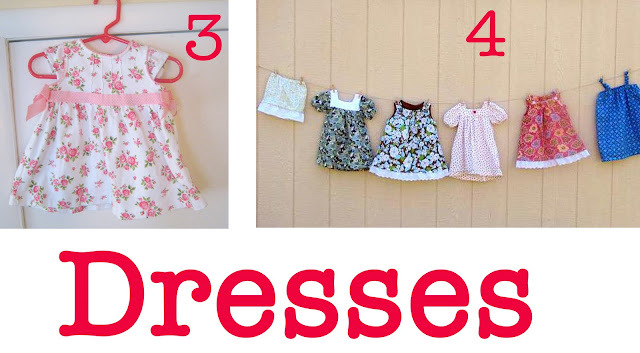 Baby dress by All About Mommies. 4. Itty bitty dresses by Home Sweet Home. 5. This little guy deserved a category all his own! 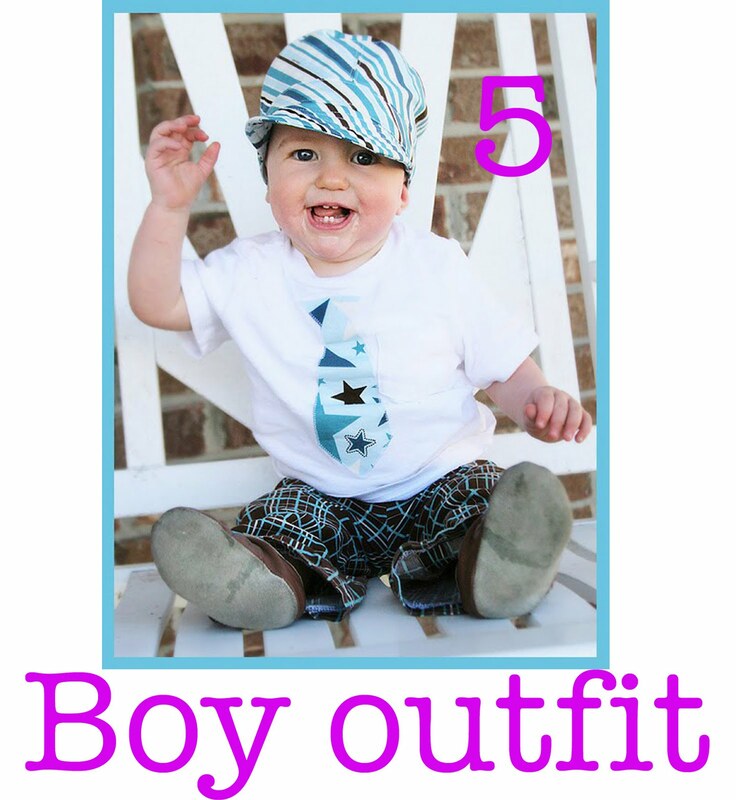 Dapper baby boy outfit by Fresh Poppy Designs. 6. Merry Christmas tutu by Texas Monkey. 7. 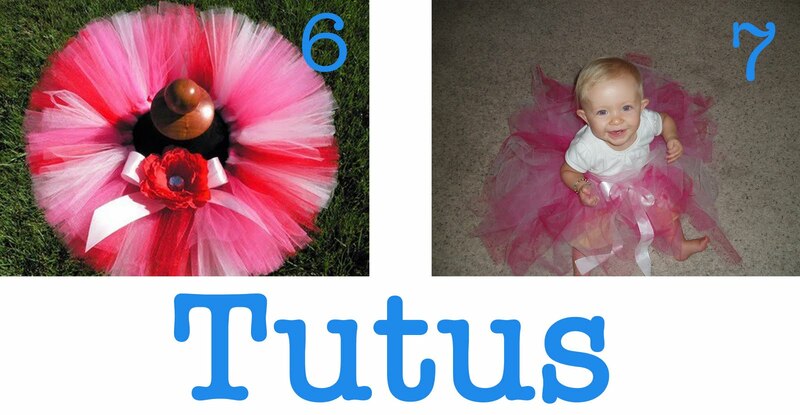 No-sew tutu by Sumo's Sweet Stuff. 8. Amy Butler applique onesie by All About Mommies. 9. 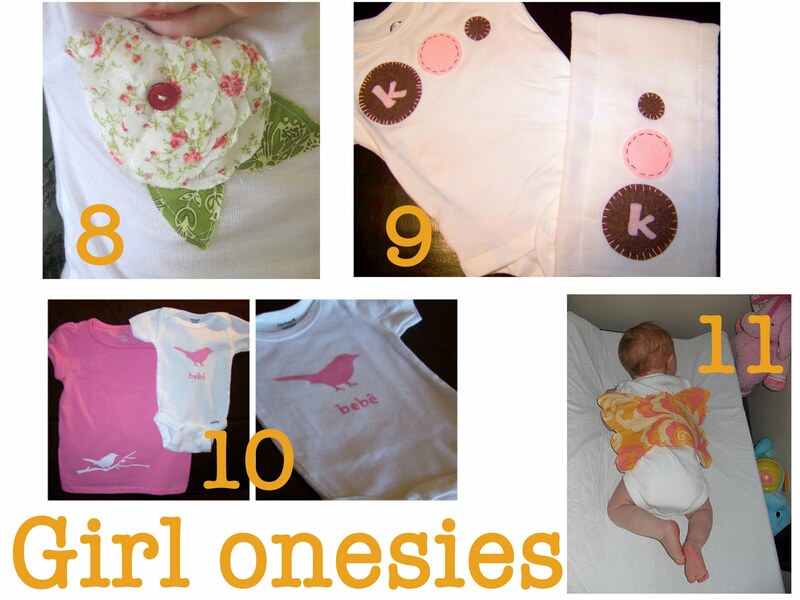 Applique onesie by Life on Dahlia Lane. 10. Adorable idea for big bro/sis! Big sister shirt with matching little sister onesie by Pink Tea. 11. Butterfly wing onesie by Sumo's Sweet Stuff. 12. Suspender onesies by Crafted By Mama. 13. Guitar onesie by Pink Tea. 14. Frog applique by Oopsey Daisy. 15. Bunny scrappy applique by Oopsey Daisy. This also needed a category all to itself! 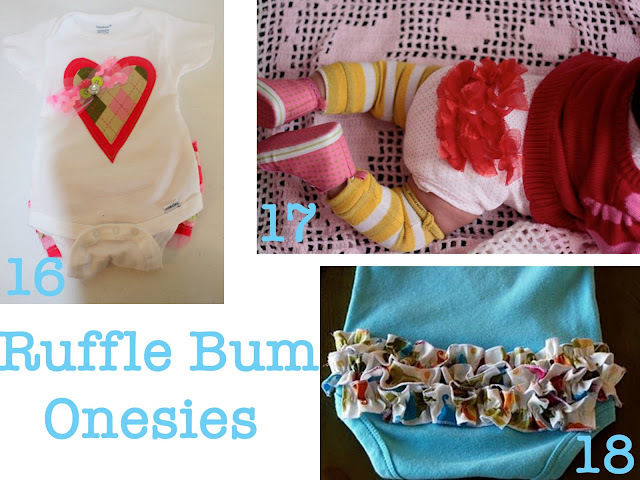 I love the ruffle bum onesies!! Wish I had a girl! 16. Easier ruffle bum onesie by Rosies. 18. The original ruffle bum onesie by Crap I've Made.